Michael Chechile, Director General of the Lester B. Pearson School Board, is always on-the-go; visiting schools and seeing students and teachers in action and witnessing months of preparation and planning come to life. Each month Mr. Chechile will present a summary of where he's been, who's he's met, and how the LBPSB community continues to impress him. Each year, LBPSB students and staff spend hours honing their technical robotics skills leading up to Festival de Robotique; an intense competition with hundreds of teams from across the globe. This year, LBPSB was represented by 2 high school teams: Lakeside Academy’s LA TECH and Lasalle Community Comprehensive High School’s Sonic Howl. Throughout the competition, students displayed their robots and presented their work, strategy, and learnings to huge crowds of Robotics enthusiasts. After 3 days of hard-fought, rigorous robotics battles, LA TECH maintained a strong showing, while LCCHS’ Sonic Howl came in 1st place!! What an amazing accomplishment. A huge congratulations to Lakeside Academy and LCCHS students, teachers, and mentors for being outstanding competitors and representatives of LBPSB. 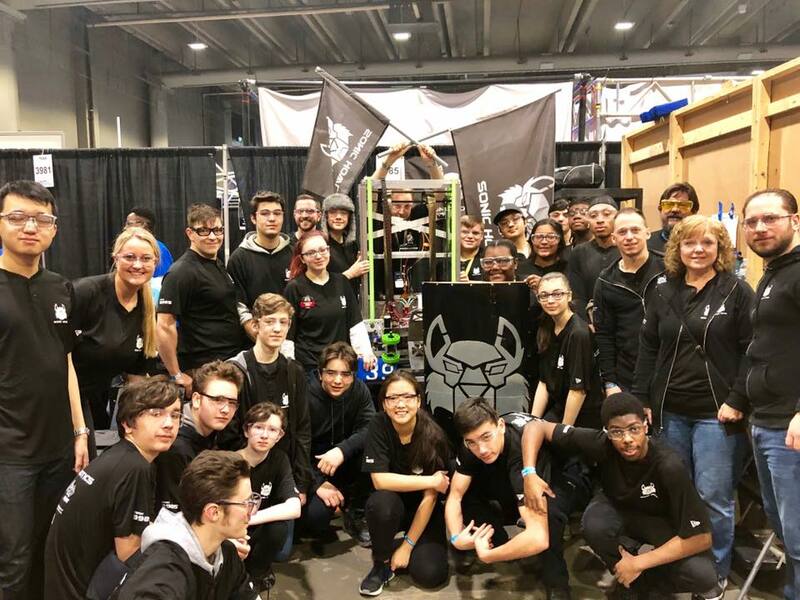 Next up, Sonic Howl will be one of over 600 teams competing at the World Championships in Detroit: April 24-27. Good luck… even though they don’t need it! It’s always moving to see LBPSB represented at major cultural events. 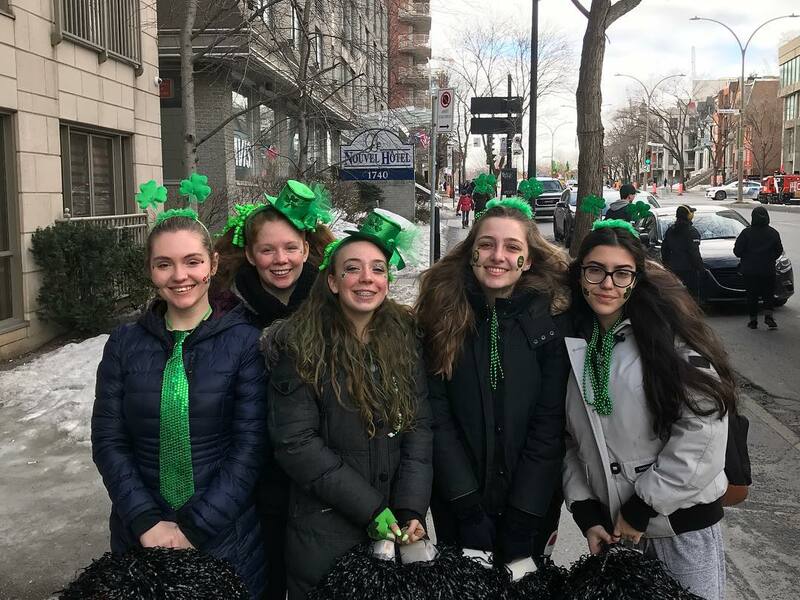 It has become a tradition within a tradition for LBPSB to proudly show off its Green colours at the St. Patrick’s Day parades. Children, parents, and staff from the LBPSB community gathered at the Hudson parade to spread some Irish cheer. But that was only the beginning. The following day LBPSB dominated Montreal’s parade with a beautiful float, and many high school students showing off their musical and athletic talents. Thanks to everyone who helped organize these appearances, and as always thank you to our students who always act as the perfect LBPSB ambassadors. March marks Nutrition Month, and this year’s theme is guiding students on a nourishing adventure through nutrition. Throughout the month, many LBPSB schools will be participating in nutrition challenges and activities, and special guest speakers and presentations will take place. With the start of Spring, there’s no better time to learn about nutrition in fun and creative ways. Of course, Nutrition Month isn’t only for students; each of us can benefit from refocusing on our health. We’ll keep you posted on Nutrition Month activities. I’m always proud to see students using their voices to promote and affect social change. To show their solidarity with Swedish climate change activist: Greta Thunberg, many high school and elementary schools took the opportunity to lead debates, creative projects, and demonstrations about the dangers of climate change inaction, and what needs to be done to protect the environment. All these students demonstrated outstanding presentation and research skills, while demonstrating respect and effective communication when discussing different points of view. Keep an eye out for this generation of young activists. Our future is in good hands. 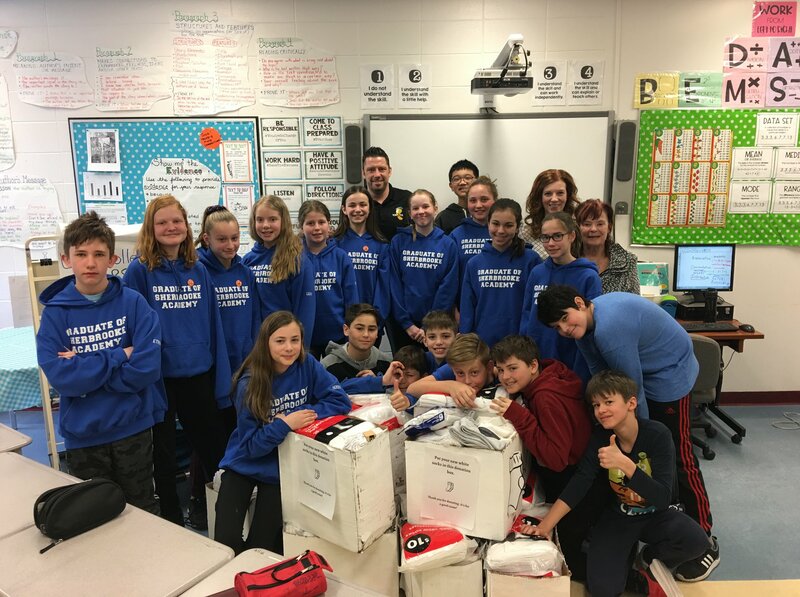 Speaking of young activists, I want to congratulate the grade 6 students of Sherbrooke Academy Sr. for making a huge difference for people in need. Since December, students have been working with Toe-To-Toe a not for profit organization to collect socks and other important resources for homeless people. 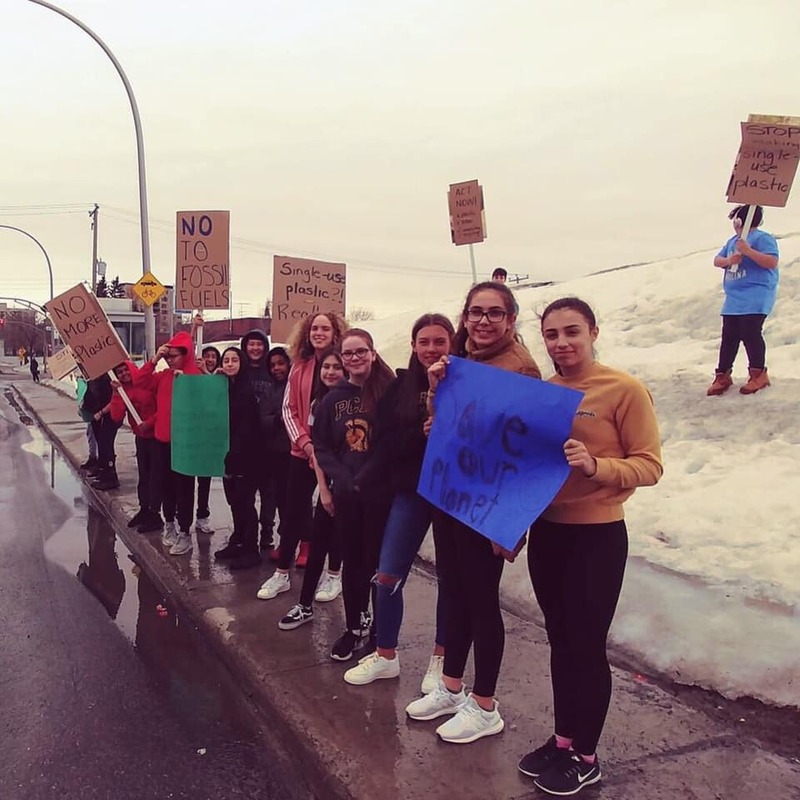 Sherbrooke Sr. students owned every step of this project; from collecting and sorting socks and donations, promoting their sock drive, and educating others about the issue of homelessness. The students admitted their surprise at discovering just how serious this issue is, and declared their commitment to do more to resolve it. Sherbrooke Sr. teachers were very impressed at the students’ leadership and reflections. In the end, Sherbrooke Sr. collected 1,308 pairs of socks that will be donated to the homeless community. This story was featured on Global News and really struck a chord with the community. Way to go Sherbrooke Sr! It’s amazing how a personal project can have such a wide reach and impact. LCCHS student Chiara Santalucia spent months working on her IB personal project, and was pleasantly surprised to learn about the many people affected by it. Inspired to write about what she knows, Chiara wrote and published her very own book titled “Dear Teenagers.” “Dear Teenagers” aims to prepare teens for the world of high school, while reinforcing the underlying message to be yourself. Chiara’s book has clearly resonated. So far, she’s sold over 100 copies with all proceeds going to Dans La Rue. Chiara’s project reminds us to never underestimate the potential of one individual; and the limitless power of stories and storytelling; well done!